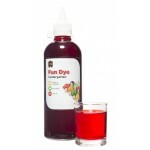 Fun Food Dye Liquid. Concentrated 500ml. Vibrant, ready to use non-toxic food dye. 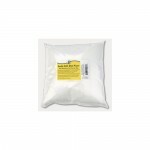 Same characteristics as powdered food dye but no mixing and is ready to use. Disclaimer: While Educational Colours food dye is made from food grade ingredients it is not packed under food grade conditions theref..
EC Fun Food Dye Powder 100gm. 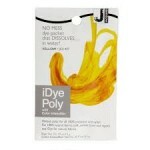 A very versatile non-toxic dye ideal for dyeing craft material such as wood, wool, paper or for. colouring finger paint based on starch or Mix-a-Paste. 9 Colours available in 100gm and 500gm tubs. . 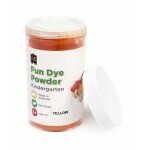 Please select the colours you require from the Available Op..
EC Food Fun Dye Powder 500gm. 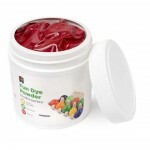 A very versatile non-toxic dye ideal for dyeing craft material such as wood, wool, paper or for. colouring finger paint based on starch or Mix-a-Paste. 9 Colours available in 100gm and 500gm tubs. . Please select the colours you require from the Available Op.. 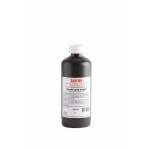 Craft Dyes Concentrated 500ml. A simple and easy to use craft dye for a variety of projects. 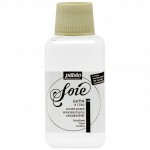 Suitable for hand painting, dye-bathing, stencilling, screen printing, resist techniques and many other applications. Select from the nine colours. . Please select the colours you require from the ..
14gm dissolvable sachets. Just add a sachet to any wash cycle in your washing machine or bath tub, gives and even colouration, no mess, no bath tub ring. Does 1.3kg of dry fabric. See the Colour Chart and information here. 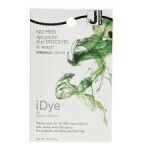 Please select the colours you require from the Available O..
iDYE 14gm Fixative sachet . See the Fixative information here. 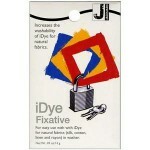 iDye Fixative is a cationic resin used as a post treatment for dyed fabrics. Use with natural fibers only (cottons, linens, rayon, hemp, etc., and silk and animal fibers). 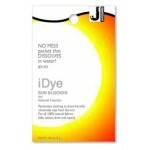 iDye Fixative increases wash fastness, sto..
Disolvable sachet 14gm Just add a sachet to any wash cycle in you washine machine or bath tub, gives even colouration, no mess, no bath tub ring! 1 14gm sachet does 1.3kg of dry fabric. . See the Colour Chart and information here. Please select the colours ..
Sunblocker can be used on all 100% natural fabrics eg. silk, cotton, linen, wool and rayon. Will penetrate clothing fibres to help block upto 96% of the sun's harmful UV rays. one treatment will last up to 20 washings. 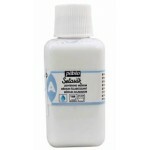 NOT SUITABLE FOR SYNTHETIC FABRICS ..
Setasilk 45ml. See the Colour Chart here You love silk - you love its beauty, its delicacy, its light soft feel - no wonder, it is the noblest of fabrics. Don't worry that it may be too delicate: with Setasillk you can easily paint on silk since its colours are fixed just by ironing. 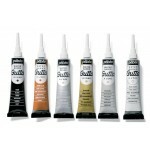 ..
Setasilk Gutta Water Based 20ml.See the Colour Chart here . Like a spider spinning its web, to paint on silk you have to create serti barriers and set aside certain areas before applying your colours with guttas, wax and tjantings you can easily master this skill, Pebeo provides a vari..
Procion Cold Water Dye. 25g. 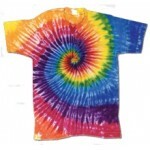 Procion dyes are the most popular dyes used in the textile art & craft market. They are used extensively throughout Australia, Europe & the US. These dyes are bright, strong colours that have very high reactivity making them suitable dyebath at low tempe..
Setasilk Dilutant - Non toxic easy to fix with an Iron - 45ml Use to lighten the colours with perfect uniformity ..
Setasilk Discovery Kit - Non toxic easy to fix with an Iron Contains 4 x 20ml assorted colours, gutta, brush and instructions ..
Colourless - Water Based - 250ml .. Soda Ash is used as a fixing agent for the Procion Dyes 500gm ..